The United States has announced to revoke visas of Saudi officials allegedly involved in the “killing” of journalist Jamal Khashoggi, amid an international outrage over the scribe’s death. Saudi Arabia has admitted that Khashoggi, 59, a contributor for The Washington Post, was killed in its Istanbul consulate. The US will continue to seek all relevant facts, consult the Congress, and work with other nations, to hold accountable those responsible for the killing of Khashoggi, Secretary of State Mike Pompeo told reporters. Given the information, currently, available with the United States, the administration is taking appropriate actions, he said. The US has identified at least some of the individuals responsible for Khashoggi’s death. These include those in the intelligence services, the Royal Court, the Saudi foreign ministry, and other Saudi ministries, Pompeo said. Khashoggi, a former royal family insider turned critic of the Saudi crown prince, disappeared after he entered the consulate on October 2 to collect a document for his upcoming marriage. The incident has severely dented the international reputation of the Crown Prince, Mohammed bin Salman. “We are taking appropriate actions, which include revoking visas, entering visa lookouts, and other measures. We are also working with the Treasury Department to review the applicability of Global Magnitsky sanctions to those individuals,” Pompeo said. The Saudis, so far, have said that Khashoggi was killed in a fistfight during an interrogation that went wrong, while Turkey has alleged that he was brutally killed and it was pre-planned. Turkish President Recep Tayyip Erdogan has said the “savage murder” of the journalist was meticulously planned, and demanded that all those linked to the killing face punishment. On the outrage against Saudi Arabia in the US, Pompeo said these penalties will not be the last word on this matter from the United States. “We will continue to explore additional measures to hold those responsible accountable. We’re making very clear that the United States does not tolerate this kind of ruthless action to silence Mr. Khashoggi, a journalist, through violence,” he said. The US, however, continues to maintain a strong partnership with the Kingdom of Saudi Arabia. 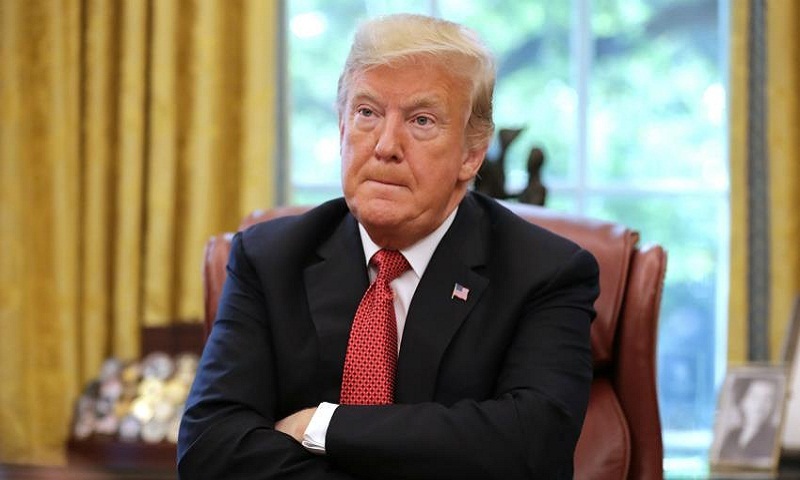 President Donald Trump has said Saudi authorities have staged the “worst ever cover up” in the death of Khashoggi, but reiterated he does not want to scrap the USD 110 billion mega arms deal with Riyadh over the issue. “Neither the President nor I am happy with this situation. Our shared strategic interests with Saudi Arabia remain. “We continue to view as achievable the twin imperatives of protecting America and holding accountable those responsible for the killing of Mr. Khashoggi,” Pompeo said. He said the US is working with its allies around the world on this issue and wants to make sure that everyone understands that the United States does not believe that the killing of Khashoggi was anything other than a horrific act. “We hope that we can work together, both with Congress and our allies, to hold those responsible accountable,” the Secretary of State said.